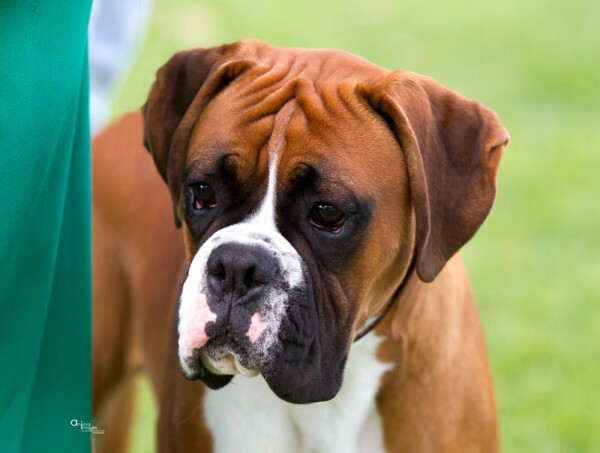 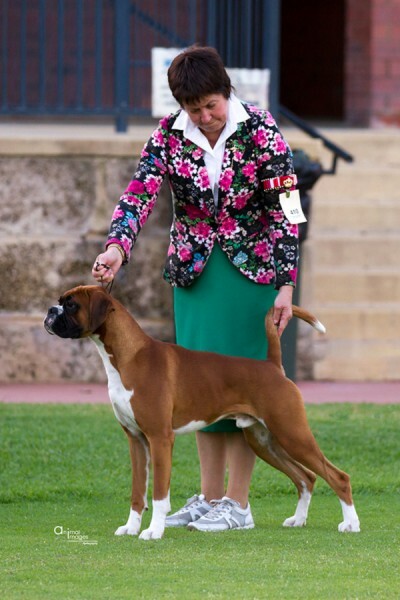 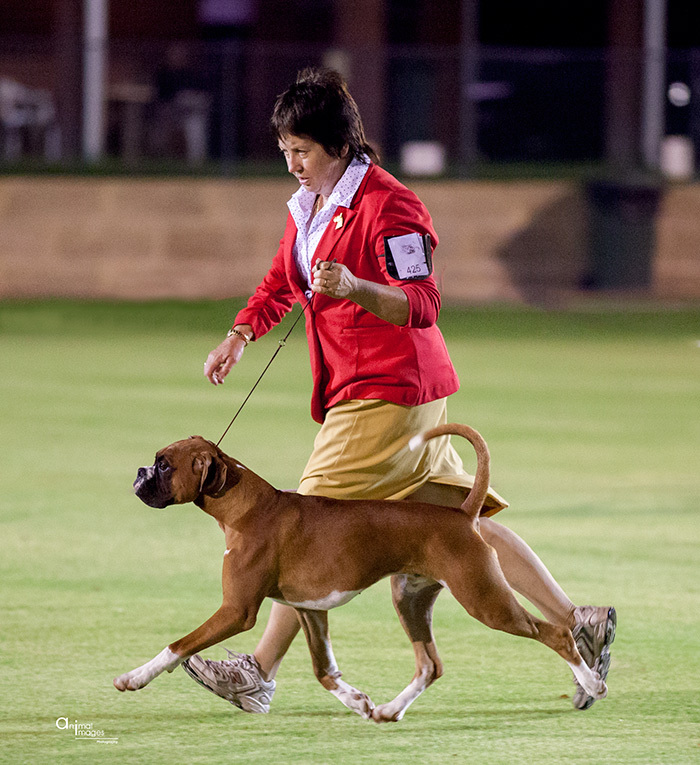 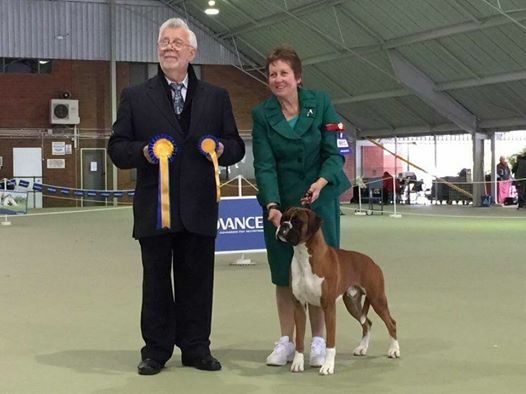 In just 3 shows, George has collected 1 Best Puppy in group and 1 Best Puppy in Show under Boxer specialists Mrs Judy Horton (Victoria) and Mr Keven Harris (Phillipines)- Feb 2015. 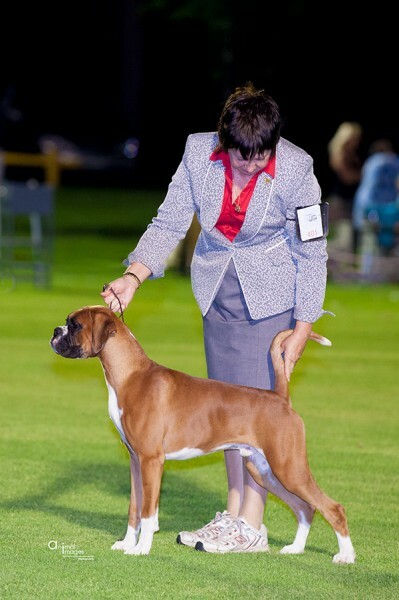 George titled easily at 10 months. Love this boy. 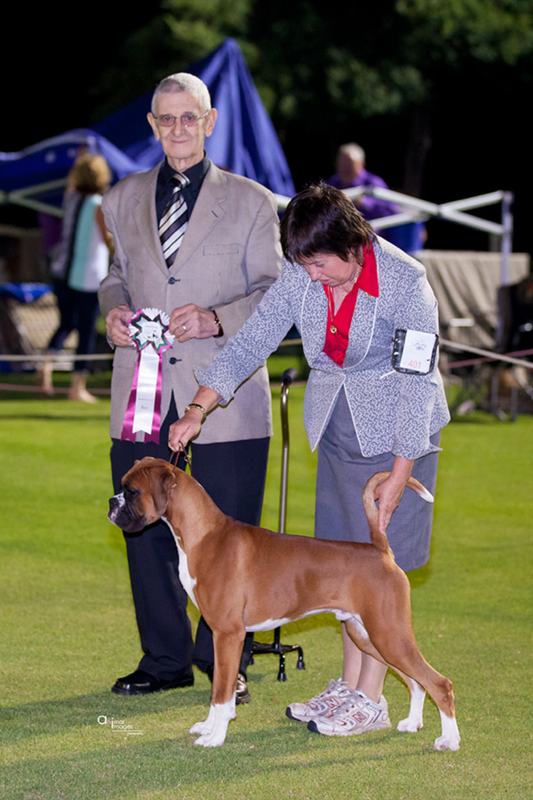 George winning Best In Group (Group 1) at WAKC Winter Festival in July 2016. Judge was Mr E Yerusalimsky (Russia).- a Boxer specialist.